I decided to post ramdom images and comments on things I find curious . So, this is a “Canela de Ema” tree. 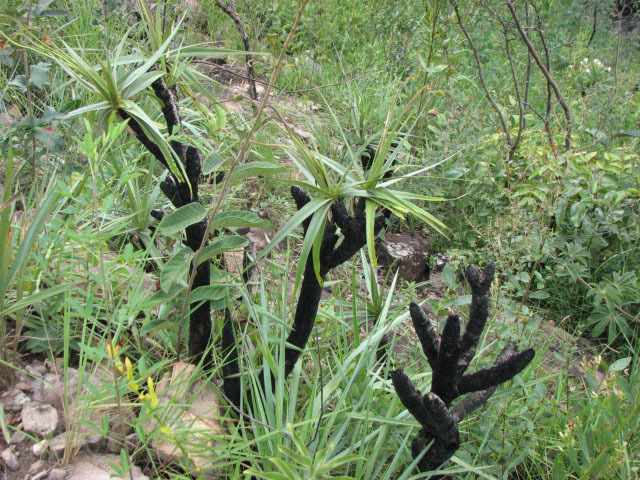 It is part black because the “Cerrado” vegetation we have here often buns itself up as a way to renovate its system. In the dry season’s peak when the heat finds the right spot there is ignition and the fire begins! Then the rain comes and the trees remain like that for a while. They survive as long as the fire doesn’t reach their core.